Looking for a total body workout but you're on a budget? 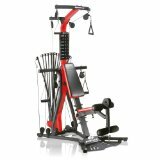 The Bowflex Xtreme 2 SE offers a compact total-body workout solution that allows you to perform over 70 exercises. 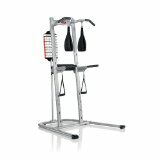 It includes a Lat Tower, leg extension, abdominal crunch harness and a 4-position lower pulley/squat station. 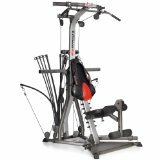 The Xtreme 2 SE utilizes Bowflex's patented Power Rods, which provide resistance, or weight, that feels as good as or better than free weights--but without the inertia or risk of joint pain usually associated with free weights. You can hook one, two, three, four or all of your Power Rod units to the cable pulley system and go from as little as 5 pounds all the way up to 210 pounds of resistance (can be upgraded to 410 pounds). 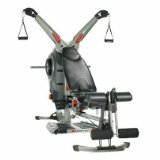 Other features include a no-change cable pulley system, an ergonomic adjustable seat, and 5-way hand grip/ankle cuffs. 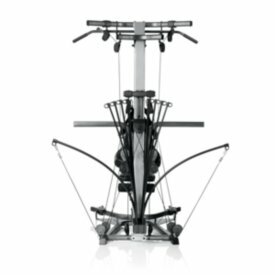 Lets you move from squats to lats to leg workouts without ever changing cables. That means you'll save time and keep your heart rate up as you progress through your workout. 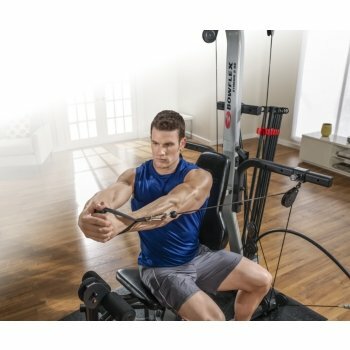 Bowflex® Power Rod® units give you resistance, or weight, that feels as good as or better than free weights but without the inertia or risk of joint pain usually associated with free weights. 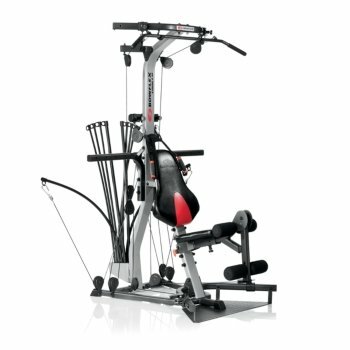 The Bowflex Xtreme® 2 SE comes standard with 210 lbs / 95 kg and is upgradeable up to 310 lbs / 140 kg or 410 lbs / 186 kg! 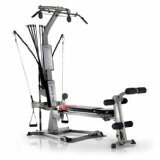 Instructions for each exercise can be found in the owner’s manual, the include 6 chest, 14 shoulder, 16 back, 24 arm, 3 abdominal and 10 leg. 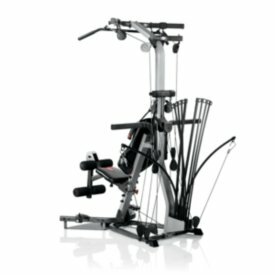 Build back and shoulder muscles quickly with this integrated tower. Use this station to do squats and build your glutes, hamstrings and quads. Use for exercises to develop strong, muscular legs. 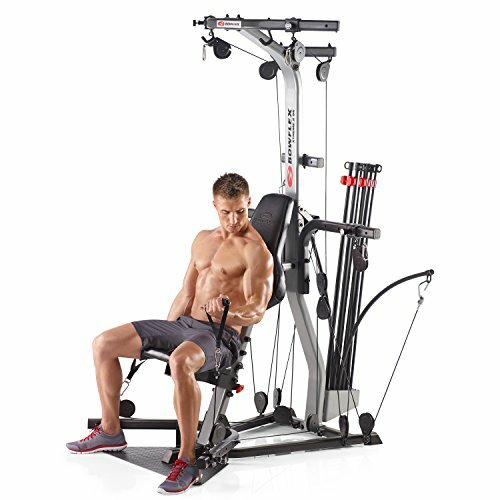 All new ab harness and ab pulley bar help you build strong, defined abs. New design provides added back support for leg exercises and knee support for lat exercises. Gym-style vertical workout position. Reinforced "X"-shaped base for maximum stability. Our unique handgrip is designed to add flexibility and performance to any workout. Functions include a Regular Grip, Non-Grip Cuff, Ankle Cuff, Foot Cuff and a Shoulder Cuff. 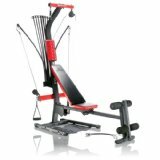 Designed to change your angle of resistance - increases the effectiveness of many exercises. L 53" x W 50" x H 77"
L 103" x W 80" x H 82"
L 90" x W 38" x H 83"
L 96" x W 78" x H 83"
L 120" x W 84" x H 83"
If you have any questions about this product by Bowflex, contact us by completing and submitting the form below. If you are looking for a specif part number, please include it with your message.